Showing results for tags 'sof'. SOF UNITS ADDONS by massi NATO SPECIAL OPERATION FORCES STEAM Collection: http://steamcommunity.com/sharedfiles/filedetails/?id=1162109803 Hi all, Due to real life business I’m unable to continue upgrading my old mods , since they’re too many and too big to manage in the few spare time. Anyway I’m releasing here few lightweight addons, easier to maintain and update and with no other addons requirements (that I’m using for personal use at the moment), that maybe you’ll find interesting. Those addons are completely independent each other, and they require no other addons, you’ll just need Arma 3 Apex and Marksman in order to fully enjoy them. I decided to make just one thread for all in order to better monitor and track all of them in one place, but you can choose to install just the ones you like. So here we go: US SOCOM Description: This addon provide US-SOCOM units to BLUFOR side; It adds several new camouflage for uniforms plus custom opscore helmets and platecarriers in order to represent US-SOCOM units in following factions: - US-SOCOM(multicam): for every kind of environment from desert to temperate and wooden areas. - US-SOCOM(AOR2): for temperate and wooden areas. - US-SOCOM(AOR1): for arid and desert environments. - US-SOCOM(Rangers): multicam uniforms and Ranger green kits. - US-SOCOM(Woodland): woodland uniforms and tan kits. - US-SOCOM(Undercover OPS): civilian clothes and tan kits. - US-SOCOM(arctic): for snow and arctic environments. - US-SOCOM(Special troops): CBRN operator and combat suit operator. - US-SOCOM(Paras): equipped with parachutes ready to be deployed fom the sky. - US-SOCOM(Divers): divers units ready to be deployed fom the sea. - US-SOCOM(Snipers): sniper and spotter in ghillie suit. - US-SOCOM(CT): sage uniforms and kits for CT/HR ops. - US-LAW ENFORCEMENT(SWAT and FBI): black/sage uniforms and kits for CT/HR ops. I used web sources for references. Features: - Units are equipped with HK417 derived from A3 Apex SPARs, so no other addons are required now. - Units are equipped with custom Colt Mk-18 rifles (normal, CQB and M203 with camo variants) Glock 17 and P226 pistols, they're compatible with other accessories without any requirements. - Units are equipped with custom opscore helmets, headgear, platecarriers, uniforms. - Weapons are compatible with CBA and all third party's optics/accessories compatible with CBA, even if CBA is not a requirement for this addon. - Each camo class has its own faction now (Alive will spawn units with same camo now). - Custom facegear like googles, gasmask and beard. - Paras and Divers units already equipped with parachutes and diver gear respectively. - There are 2 weapon boxes containing all weapons/ammo and custom gear/equipment. - Wide variety of groups in the editor. - Uniforms, headgear, weapons and equipment can be placed on the ground in 3d editor now. - Preview pictures in the editor. - Custom flags and markers. - Classlist included in folder. - Reduced addon size, improved cfg, improved models and textures and removed dependencies from other addons. Requirements. - Arma3 with Marksman and Apex DLC. - No addons required. DOWNLOAD and PICTURES: http://steamcommunity.com/sharedfiles/filedetails/?id=1141915433 ITALIAN SOF Description: This addon provide Italian SOF units to BLUFOR side; It adds several new camouflage for uniforms plus custom opscore helmets and platecarriers in order to represent Italian SOF units in following factions: - SOF(dig-multicam): for every kind of environment from desert to temperate and wooden areas. - SOF(vegetata): for temperate and wooden areas. - SOF(desert): for arid and desert environments. - SOF(arctic): for snow and arctic environments. 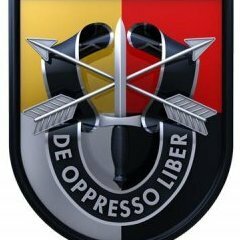 - SOF(CT): black uniforms and kits for CT/HR ops. - SOF(Covert-Ops): civilian clothes and tan kits. - SOF(Special troops): CBRN operator and combat suit operator. - SOF(Paras): equipped with parachutes ready to be deployed fom the sky. - SOF(Divers): divers units ready to be deployed fom the sea. - SOF(Snipers): sniper and spotter in ghillie suit. I used web sources for references. Features: - Units are equipped with HK417 derived from A3 Apex SPARs, so no other addons are required now. - Units are equipped with custom Colt M4A1 rifles (normal, CQB and M203 with camo variants) and Glock 17 pistols, they're compatible with other accessories without any requirements. - Units are equipped with custom opscore helmets, headgear, platecarriers, uniforms. - Weapons are compatible with CBA and all third party's optics/accessories compatible with CBA, even if CBA is not a requirement for this addon. - Each camo class has its own faction now (Alive will spawn units with same camo now). - Custom facegear like googles, gasmask and beard. - Paras and Divers units already equipped with parachutes and diver gear respectively. - There are 2 weapon boxes containing all weapons/ammo and custom gear/equipment. - Wide variety of groups in the editor. - Uniforms, headgear, weapons and equipment can be placed on the ground in 3d editor now. - Preview pictures in the editor. - Custom flags and markers. - Classlist included in folder. - Reduced addon size, improved cfg, improved models and textures and removed dependencies from other addons. Installation. Subscribe from Steam Workshop or use modfolders Requirements. - Arma3 with Marksman and Apex DLC. - No addons required. Bugs. Not so far. DOWNLOAD and PICTURES: http://steamcommunity.com/sharedfiles/filedetails/?id=1141978995 RUSSIAN SOF Description: This addon provide Russian SOF units to OPFOR side; It adds several new camouflage for uniforms plus custom opscore helmets and retextured bodyarmor in order to represent Russian Spetsnaz units in following factions: - Russian Spetsnaz(multicam): for every kind of environment from desert to temperate and wooden areas. - Russian Spetsnaz(green): for temperate and wooden areas. - Russian Spetsnaz(arctic): for snow and arctic environments. - Russian Spetsnaz(CT): black uniforms and kits for CT/HR ops. - Russian Spetsnaz(Special troops): CBRN operator and combat suit operator. - Russian Spetsnaz(Paras): equipped with parachutes ready to be deployed fom the sky. - Russian Spetsnaz(Divers): divers units ready to be deployed fom the sea. - Russian Spetsnaz(Snipers): sniper and spotter in ghillie suit. I used web sources for references. Features: - Units are equipped with custom AK-103 (including GL and camo variants), compatible with other attachements without any requirement . - Units are equipped with custom opscore helmets, headgear, bodyarmor, uniforms. - Weapons are compatible with CBA and all third party's optics/accessories compatible with CBA, even if CBA is not a requirement for this addon. - Each camo class has its own faction now (Alive will spawn units with same camo now). - Custom facegear like googles and gasmask. - Paras and Divers units already equipped with parachutes and diver gear respectively. - There are 2 weapon boxes containing all weapons/ammo and custom gear/equipment. - Wide variety of groups in the editor. - Uniforms, headgear, weapons and equipment can be placed on the ground in 3d editor now. - Preview pictures in the editor. - Custom flags and markers. - Classlist included in folder. - Reduced addon size, improved cfg, improved models and textures and removed dependencies from other addons. Requirements. - Arma3 with Marksman and Apex DLC. - No addons required. Bugs. Not so far. DOWNLOAD and PICTURES: http://steamcommunity.com/sharedfiles/filedetails/?id=1142671136 RUSSIAN VDV Units Description: This addon provide Russian VDV units to OPFOR side; It adds several new camouflage for uniforms plus custom opscore helmets and retextured bodyarmor in order to represent Russian VDV units in following factions: - Russian VDV(EMR): for every kind of environment from desert to temperate and wooden areas. - Russian VDV(Surpat): for tropical and desert areas. - Russian VDV(Special troops): CBRN operator. - Russian VDV(Paras): equipped with parachutes ready to be deployed fom the sky. I used web sources for references. Features: - Units are equipped with custom AK-74M (including GL variants). - Units are equipped with custom opscore helmets, headgear, bodyarmor, uniforms. - Weapons are compatible with CBA and all third party's optics/accessories compatible with CBA, even if CBA is not a requirement for this addon. - Each camo class has its own faction now (Alive will spawn units with same camo now). - Custom facegear like googles and gasmask. - Paras already equipped with parachutes. - There are 2 weapon boxes containing all weapons/ammo and custom gear/equipment. - Wide variety of groups in the editor. - Uniforms, headgear, weapons and equipment can be placed on the ground in 3d editor now. - Preview pictures in the editor. - Custom flags and markers. - Classlist included in folder. - Reduced addon size, improved cfg, improved models and textures and removed dependencies from other addons. Requirements. - Arma3 with Marksman DLC. - No addons required. Bugs. Not so far. DOWNLOAD and PICTURES http://steamcommunity.com/sharedfiles/filedetails/?id=1170200119 OPFOR REBELS Description: This addon provide OPFOR Rebel forces from Europe, Middle-East, Asia, Tanoa and Africa, with units, vehicles and groups ready in the editorusing guerrilla APEX assets. This is a very simple retexture addon that aims to provide a set of rebel units that can fit in every type of environment/island. I used web sources for references. Features: - Units are equipped with retextured guerrilla uniforms, and A3 vests and headgear. - Rebel factions from Europe, Middle-East, Asia, Tanoa and Africa with related names, faces and languages (when applyable). - No requirements since they're using A3 and A3 expansions assets. - Their loadouts expand tactical capabilities of guerrilla units. - Dedicated rebel technicals vehicles ready in the editor. - Guerrilla groups ready in editor. - Classnames included in addon folder. Requirements. - Arma3 with Marksman and Apex DLC. - No addons required. Bugs. Not so far. DOWNLOAD and PICTURES: http://steamcommunity.com/sharedfiles/filedetails/?id=1142687549 INDEPENDENT GUERRILLA Description: This addon provide INDEPENDENT Guerrila forces from Europe, Middle-East, Asia, Tanoa and Africa, with units, vehicles and groups ready in the editorusing guerrilla APEX assets. This is a very simple retexture addon that aims to provide a set of guerrilla units that can fit in every type of environment/island. I used web sources for references. Features: - Units are equipped with retextured guerrilla uniforms, and A3 vests and headgear. - Guerrilla faction from Europe, Middle-East, Asia, Tanoa and Africa with related names, faces and languages (when applyable). - No requirements since they're using A3 and A3 expansions assets. - Their loadouts expand tactical capabilities of guerrilla units. - Dedicated guerrilla technicals vehicles ready in the editor. - Guerrilla groups ready in editor. - Classnames included in addon folder. Requirements. - Arma3 with Marksman and Apex DLC. - No addons required. Bugs. Not so far. DOWNLOAD and PICTURES: http://steamcommunity.com/sharedfiles/filedetails/?id=1142683154 CSAT REPLACEMENT Description: This addon provide more realistic uniforms and equipment for CSAT soldiers. I used web sources for references. Features: - Units are equipped with custom uniforms, vests and headgear in order to be more realistic and less futuristic. - The addon does not modify any unit(or their loadout), it will only change the appearance of the items without modifying their characteristics. - This will not change any Campaigns or Missions beheavior. Requirements. - Arma3. - No addons required. Bugs. Not so far. DOWNLOAD and PICTURES: http://steamcommunity.com/sharedfiles/filedetails/?id=1142693786 UK SOF Description:This addon provide UK SOF units to BLUFOR side; It adds several new camouflage for uniforms plus custom opscore helmets and platecarriers in order to represent UK SOF units in following factions:- SOF(multicam): for every kind of environment from desert to temperate and wooden areas.- SOF(woodland): for temperate and wooden areas.- SOF(desert): for arid and desert environments.- SOF(arctic): for snow and arctic environments.- SOF(CT): black uniforms and kits for CT/HR ops.- SOF(Covert-Ops): civilian clothes and tan kits.- SOF(Special troops): CBRN operator and combat suit operator.- SOF(Paras): equipped with parachutes ready to be deployed fom the sky.- SOF(Divers): divers units ready to be deployed fom the sea.- SOF(Snipers): sniper and spotter in ghillie suit.I used web sources for references.Features:- Units are equipped with HK417 derived from A3 Apex SPARs, so no other addons are required now. -Units are equipped with custom Colt L119A1 rifles (normal, CQB and M203 black and camo variants) and Sig P226 pistols, they're compatible with all other accessores without any requirements- Units are equipped with custom opscore helmets, headgear, platecarriers, uniforms.- Weapons are compatible with CBA and all third party's optics/accessories compatible with CBA, even if CBA is not a requirement for this addon.- Each camo class has its own faction now (Alive will spawn units with same camo now).- Custom facegear like googles, gasmask and beard.- Paras and Divers units already equipped with parachutes and diver gear respectively.- There are 2 weapon boxes containing all weapons/ammo and custom gear/equipment.- Wide variety of groups in the editor.- Uniforms, headgear, weapons and equipment can be placed on the ground in 3d editor now.- Preview pictures in the editor.- Custom flags and markers.- Classlist included in folder.- Reduced addon size, improved cfg, improved models and textures and removed dependencies from other addons.Requirements.- Arma3 with Marksman and Apex DLC.- No addons required.Bugs.Not so far. DOWNLOAD and PICTURES http://steamcommunity.com/sharedfiles/filedetails/?id=1145621857 GERMAN SOF Description: This addon provide German SOF units to BLUFOR side; It adds several new camouflage for uniforms plus custom opscore helmets and platecarriers in order to represent German SOF units in following factions: - SOF(multicam): for every kind of environment from desert to temperate and wooden areas. - SOF(woodland): for temperate and wooden areas. - SOF(desert): for arid and desert environments. - SOF(arctic): for snow and arctic environments. - SOF(CT): black uniforms and kits for CT/HR ops. - SOF(Special troops): CBRN operator and combat suit operator. - SOF(Paras): equipped with parachutes ready to be deployed fom the sky. - SOF(Divers): divers units ready to be deployed fom the sea. - SOF(Snipers): sniper and spotter in ghillie suit. I used web sources for references. Features: - Units are equipped with HK417 derived from A3 Apex SPARs, so no other addons are required now. - Units are equipe with custom HK G-36C and USP pistols, compatible with other optics/accessories without any requirement. - Units are equipped with custom opscore helmets, headgear, platecarriers, uniforms. - Weapons are compatible with CBA and all third party's optics/accessories compatible with CBA, even if CBA is not a requirement for this addon. - Each camo class has its own faction now (Alive will spawn units with same camo now). - Custom facegear like googles, gasmask and beard. - Paras and Divers units already equipped with parachutes and diver gear respectively. - There are 2 weapon boxes containing all weapons/ammo and custom gear/equipment. - Wide variety of groups in the editor. - Uniforms, headgear, weapons and equipment can be placed on the ground in 3d editor now. - Preview pictures in the editor. - Custom flags and markers. - Classlist included in folder. - Reduced addon size, improved cfg, improved models and textures and removed dependencies from other addons. Requirements. - Arma3 with Marksman and Apex DLC. - No addons required. Bugs. Not so far. DOWNLOAD and PICTURES http://steamcommunity.com/sharedfiles/filedetails/?id=1152857794 FRENCH SOF Description: This addon provide French SOF units to BLUFOR side; It adds several new camouflage for uniforms plus custom opscore helmets and platecarriers in order to represent French SOF units in following factions: - SOF(multicam): for every kind of environment from desert to temperate and wooden areas. - SOF(woodland): for temperate and wooden areas. - SOF(desert): for arid and desert environments. - SOF(arctic): for snow and arctic environments. - SOF(CT): black uniforms and kits for CT/HR ops. - SOF(Special troops): CBRN operator and combat suit operator. - SOF(Paras): equipped with parachutes ready to be deployed fom the sky. - SOF(Divers): divers units ready to be deployed fom the sea. - SOF(Snipers): sniper and spotter in ghillie suit. I used web sources for references. Features: - Units are equipped with HK416-HK417 derived from A3 Apex SPARs, so no other addons are required now. - Units are equipe with custom Glock 17 pistols, compatible with other optics/accessories without any requirement. - Units are equipped with custom opscore helmets, headgear, platecarriers, uniforms. - Weapons are compatible with CBA and all third party's optics/accessories compatible with CBA, even if CBA is not a requirement for this addon. - Each camo class has its own faction now (Alive will spawn units with same camo now). - Custom facegear like googles, gasmask and beard. - Paras and Divers units already equipped with parachutes and diver gear respectively. - There are 2 weapon boxes containing all weapons/ammo and custom gear/equipment. - Wide variety of groups in the editor. - Uniforms, headgear, weapons and equipment can be placed on the ground in 3d editor now. - Preview pictures in the editor. - Custom flags and markers. - Classlist included in folder. - Reduced addon size, improved cfg, improved models and textures and removed dependencies from other addons. Requirements. - Arma3 with Marksman and Apex DLC. - No addons required. Bugs. Not so far. DOWNLOAD and PICTURES http://steamcommunity.com/sharedfiles/filedetails/?id=1162059703 Thanks to BI for the great game and to all the community! This topic will cover all the various faction mods I'm making, from different Special Operation Forces or Commando/ Elite regiments across the globe as well as regular military forces or Insurgent groups. They will all have similar core dependencies so it's easier to have multiple factions at the same time, and will all work together with full Editor, Zeus, ACE3, TFAR, VCOM AI, ASR AI, RPGTard, MCC and ALiVE support. Notice- Factions will no longer be added to the list below because I'm hitting the wordcap. If you want to see the whole range of released mods http://steamcommunity.com/profiles/76561198081560124/myworkshopfiles/?appid=107410 is the best place. The forums page is used more for feedback/announcements and WIP info on upcoming mods rather than DL links. All mods can be found on Armaholic as well. 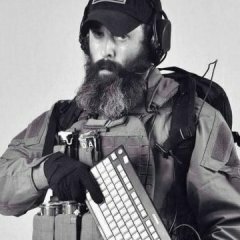 Arma 3 mods in general now have a collective Discord page, the Arma 3 HUB ,found here- https://discord.gg/dyXnZ8u and I have my own section, which I will use for polls and discussion as well as various WIP factions or updates. A whole range of other modders also have sections, so it's likely worth a look. SOF and OPFOR from around the world. DOWNLOAD LINKS- US Navy S.E.A.L.S and USAF Pararescue (PJ's) "The Only Easy Day Was Yesterday" and "So Other's May Live" Special thanks to 'H---------', who is a member of the SEALS and one of my consultants. Faction classname- SL Steam Workshop- http://steamcommunity.com/sharedfiles/filedetails/?id=821140377 Armaholic- http://www.armaholic.com/page.php?id=32075 Arma3.de- http://arma3.de/include.php?path=download&contentid=4767 Polish GROM Special Forces of Poland- One of the best in the world. "Siła i Honor Tobie Ojczyzno!" Faction classname- GM Steam Workshop- http://steamcommunity.com/sharedfiles/filedetails/?id=823664320 Armaholic- http://www.armaholic.com/page.php?id=32103 MARSOC Marine Raiders The US Marine Corps Special Forces Unit. "Always Faithful, Always Forward" Faction classname- MR Steam Workshop- http://steamcommunity.com/sharedfiles/filedetails/?id=826018608 Armaholic- http://www.armaholic.com/page.php?id=32105 Arma3.de- http://arma3.de/include.php?path=download&contentid=4781 75th Ranger Regiment and PMC Contractors The US Army's Ranger Regiment, 2014, and PMC contractors from Iraq, 2007. "Rangers Lead The Way" Faction classname- BLU_AI Steam Workshop- http://steamcommunity.com/sharedfiles/filedetails/?id=779932339 Armaholic- http://www.armaholic.com/page.php?id=32115 Arma3.de- http://arma3.de/include.php?path=download&contentid=4779 Afghan National Army and ANA Commando Brigade National Army of Afghanistan, and it's Commando Unit, pre-2011 Faction classname- ANA Steam Workshop- http://steamcommunity.com/sharedfiles/filedetails/?id=827872006 Armaholic- http://www.armaholic.com/page.php?id=32120 Arma3.de- http://arma3.de/include.php?path=download&contentid=4765 British Special Air Service and Special Boat Service (SAS and SBS) The original Special Forces, fighting bad guys since 1941. "By Strength And Guile" and "Who Dares Wins" Faction classname- SAS Steam Workshop- http://steamcommunity.com/sharedfiles/filedetails/?id=830455109 Armaholic- http://www.armaholic.com/page.php?id=32144 Central African Rebels Anti-Balaka Movement, Central African Republic. "The Invincible" Faction classname- CAR Steam Workshop- http://steamcommunity.com/sharedfiles/filedetails/?id=831284682 Armaholic- http://www.armaholic.com/page.php?id=32158 Hezbollah Lebanese Shi'ia Islamist political and military group. Faction classname- HZ Steam Workshop- http://steamcommunity.com/sharedfiles/filedetails/?id=833316053 Armaholic- http://www.armaholic.com/page.php?id=32162 1st Brandenburg Division, 1944. Elite German unit from WW2 specialising in sabotage and infiltration. Faction classname- BB Steam Workshop- http://steamcommunity.com/sharedfiles/filedetails/?id=835581569 Australian 2nd Commando Regiment and New Zealand SAS. Special Forces from Australia and New Zealand. "Foras Admonitio" Faction classname- 2C Steam Workshop- http://steamcommunity.com/sharedfiles/filedetails/?id=838402883 Armaholic- http://www.armaholic.com/page.php?id=32187 Israeli Shayetet 13 Israeli Naval Special Forces Faction classname- S13 Steam Workshop- http://steamcommunity.com/sharedfiles/filedetails/?id=839868777 Armaholic- http://www.armaholic.com/page.php?id=32197 Colombian Special Forces Based on the 'Fuerzas Especiales Colombianas' of the Colombian Army "Patria, Honor, Lealtad" Faction classname- MSF Steam Workshop- http://steamcommunity.com/sharedfiles/filedetails/?id=844283765 Armaholic- http://www.armaholic.com/page.php?id=32211 People's Liberation Army Special Forces Based on the Guangzhou Military Region Special Forces Unit, "South Blade" from January 2015. Faction classname- PLA Steam Workshop- http://steamcommunity.com/sharedfiles/filedetails/?id=845947248 Armaholic- http://www.armaholic.com/page.php?id=32217 'Praying Mantis' PMC's Fictional PMC group from Metal Gear Solid 4. Faction classname- MGS Steam Workshop- http://steamcommunity.com/sharedfiles/filedetails/?id=848441775 Armaholic- http://www.armaholic.com/page.php?id=32236 Russian Spetznaz Based on 'Vympel' and SSO units in SURPAT and Multicam (2012-2017) "Timing, Thoroughness, Reliablity" Faction classname- RUS Steam Workshop- http://steamcommunity.com/sharedfiles/filedetails/?id=849038969 Armaholic- http://www.armaholic.com/page.php?id=32254 African Special Forces Both Kenyan and Somali Special Forces (2010-2015) Faction classname- KSF Steam Workshop- http://steamcommunity.com/sharedfiles/filedetails/?id=849723142 Armaholic- http://www.armaholic.com/page.php?id=32243 US CAG- 'Delta Force' Combat Applications Group (2016-2017) geared for a Tanoan deployment. Faction classname- CAG Steam Workshop- http://steamcommunity.com/sharedfiles/filedetails/?id=851480288 Armaholic- http://www.armaholic.com/page.php?id=32263 Abu Sayyaf Group A Pacific Islamist extremist group with connections to Al-Qaeda and Islamic State (2011-2016) Faction classname- ASG Steam Workshop- http://steamcommunity.com/sharedfiles/filedetails/?id=853221518 Armaholic- http://www.armaholic.com/page.php?id=32275 German Special Forces Kommando Spezialkräfte Marine (KSM, Naval Special Forces) and Kommando Spezialkräfte (KSK) (KSM-2011-2015, KSK 2035) Faction classname- KSM Steam Workshop- http://steamcommunity.com/sharedfiles/filedetails/?id=855118984 Armaholic- http://www.armaholic.com/page.php?id=32295 Taliban Insurgency Special Operation Forces Faction mod [SFF] that adds the Taliban Insurgency to Arma 3. It is mostly based on the 1996-2009 era of Taliban in Afghanistan. Faction classname- TBI Steam Workshop- http://steamcommunity.com/sharedfiles/filedetails/?id=950850347 Armaholic- http://www.armaholic.com/page.php?id=32885 Tanoan Defence Forces Tanoa's Defence Forces are loosely based around the Republic of Fiji's Armed Forces and the Indonesian Armed forces. Due to the location of the Horizon island chain in the Pacific, they are using primarily older Western equipment, with some older Soviet-Block equipment in use by Reserve and training units. Faction classname- TDF Steam Workshop- http://steamcommunity.com/sharedfiles/filedetails/?id=949495255 Armaholic- Pakistani Special Service Wing Special Operation Forces Faction mod [SFF] that adds the Pakistani Air Force Special Service Wing, No. 2 Special Operations Squadron to Arma 3. It is mostly based on photographs of deployments between 2010 and early June 2017. Steam Workshop- http://steamcommunity.com/sharedfiles/filedetails/?id=1094613885 Armaholic- http://www.armaholic.com/page.php?id=33083 PW6- http://withsix.com/p/Arma-3/mods/WSZ98MO7XUWxfeP-Fv5HyA/Pakistani-Special-Service-Wing-SFF Private Military Contractors Special Operation Forces Faction mod [SFF] that adds a PMC Contractor faction, with equipment based on contractors in Iraq in a post 2008 time period, as well as PMC's internationally. Steam Workshop- http://steamcommunity.com/sharedfiles/filedetails/?id=1132804515 Armaholic- http://www.armaholic.com/page.php?id=33251 Spanish MOE SOF The Spanish armed forces are one of the oldest in Europe, but the nation's military was re-organised only relatively recently in the 1980's, and a standing Special Forces element, the Mando de Operaciones Especiales (MOE, Special Operations Command) was formed in the 1990's. MOE is currently deployed to a range of nations, including the Republic of Mali in West Africa. Steam Workshop- https://steamcommunity.com/sharedfiles/filedetails/?id=1344321789 Armaholic- http://www.armaholic.com/page.php?id=33874 [SFF-R] Series (Special Forces Factions, RHS) This is recreations of several of my factions with alternate dependencies on RHS instead of NIA/ SMA weapons. Note that these cannot be enabled at the same time as the normal version due to sharing classnames. MARSOC Marine Raiders [SFF-R] The US Marine Corps Special Forces Unit. RHS Version. "Always Faithful, Always Forward" Faction classname- MR Steam Workshop- http://steamcommunity.com/sharedfiles/filedetails/?id=873455461 Armaholic- http://www.armaholic.com/page.php?id=32421 Abu Sayyaf Group [SFF-R] Pacific Islamist extremists who have ties to Al Qaeda, the Mexican Cartel, and Islamic State. RHS Version. "Bearer Of The Sword" Faction classname- ASG Steam Workshop- http://steamcommunity.com/sharedfiles/filedetails/?id=875241040 Armaholic- http://www.armaholic.com/page.php?id=32431 Central African Rebels [SFF-R] Anti-Balaka gangs of the Central African Republic. RHS Version. Faction classname- CAR Steam Workshop- http://steamcommunity.com/sharedfiles/filedetails/?id=879843800 Armaholic- http://www.armaholic.com/page.php?id=32465 Afghan National Army and ANA Commandos [SFF-R] The Afghan Army and their Commando forces from 2007-2011. RHS Version. 'Thunder' Faction classname- ANA Steam Workshop- http://steamcommunity.com/sharedfiles/filedetails/?id=890504822 Armaholic- http://www.armaholic.com/page.php?id=32559 Russian Spetzaz [SFF-R] Special forces from 'Vympel' and SSO of the Russian armed forces. RHS Version. Faction classname- RUS Steam Workshop- http://steamcommunity.com/sharedfiles/filedetails/?id=895826156 Armaholic- http://www.armaholic.com/page.php?id=32601 Islamic State [SSF-R] Extremist Terrorist organisation from the Middle East, based on photos and videos from Jan 2016 to Feb 2017. RHS version. Faction classname- IS Steam Workshop- http://steamcommunity.com/sharedfiles/filedetails/?id=899977490 Armaholic- http://www.armaholic.com/page.php?id=32631 Taliban Insurgency [SFF-R] Special Operation Forces Faction mod [SFF] that adds the Taliban Insurgency to Arma 3. It is mostly based on the 1996-2009 era of Taliban in Afghanistan. RHS version. Faction classname- TBI Steam Workshop- http://steamcommunity.com/sharedfiles/filedetails/?id=951522276 Armaholic- http://www.armaholic.com/page.php?id=32898 Hezbollah [SFF-R] Special Operations Forces Faction mod [SFF] that adds the Hezbollah organisation to the game. The Hezbollah are a Lebanese Shi'ia Islamist political and military group. The position of Hezbollah as an organisation is tenous, as it is both a legitimate political party and a fighting organisation. This faction is based on photographs and video footage from August 13th, 2013 to early 2017. RHS version. Faction classname- HZ Steam Workshop- http://steamcommunity.com/sharedfiles/filedetails/?id=1098686482 Armaholic- http://www.armaholic.com/page.php?id=33084 PW6 - http://withsix.com/p/Arma-3/mods/2w0_INxMQF-qjz9W5g-37w/Hezbollah-SFF-R Polish GROM [SFF-R] Special Operation Forces Faction mod [SFF] that adds the Polish GROM. Note this version is dependant on RHS Escalation. If you would prefer different dependencies there is a SMA version also available. They are not compatible with each other and cannot be enabled at the same time. Faction Classname- GM Steam Workshop- http://steamcommunity.com/sharedfiles/filedetails/?id=1148577972 Armaholic- http://www.armaholic.com/page.php?id=33303 US Navy SEALS [SFF-R] The U.S. Navy SEALs were established by President John F. Kennedy in 1962 as a small, elite maritime military force to conduct Unconventional Warfare. They carry out the types of clandestine, small-unit, high-impact missions that large forces with high-profile platforms (such as ships, tanks, jets and submarines) cannot. They form the US Navy's premier Special Operations Force (SOF) and are a component in NAVSPECWAR. Faction Classname- SL Steam Workshop- https://steamcommunity.com/sharedfiles/filedetails/?id=1354385660 Armaholic- http://www.armaholic.com/page.php?id=33889 Faction Overhauls/ Replacement Packs. This is campaign and mission replacements for default Arma 3 and Arma 3 Apex factions. FIA Overhauled A replacement pack for FIA units in the official campaign and scenarios that gives them equipment more in line with modern day NATO-backed guerrilla fighters. Faction classname- BLU_G_F Steam Workshop- http://steamcommunity.com/sharedfiles/filedetails/?id=858764894 Armaholic- http://www.armaholic.com/page.php?id=32299&highlight=858764894 FIA Overhauled [RHS Edition] A replacement pack for FIA units in the official campaign and scenarios that gives them equipment more in line with modern day NATO-backed guerrilla fighters using RHS weapons. Faction classname- BLU_G_F Steam Workshop- https://steamcommunity.com/sharedfiles/filedetails/?id=1354385660 Gendarme Overhauled A replacement pack for the Tanoan Police Force units in the Apex campaign and scenarios that gives them a much wider selection of units and a SWAT team. No mods required. Faction classname- BLU_GEN_F Steam Workshop- http://steamcommunity.com/sharedfiles/filedetails/?id=860128361 Armaholic- http://www.armaholic.com/page.php?id=32312 Syndikate Overhauled A replacement pack for the Syndikate Cartel units in the Apex campaign and scenarios that gives them several units that appear in the campaign that are not usable, such as Technicals, and adds the un-used Tactical Chest Rig to some units. Faction classname- IND_C_F Steam Workshop- http://steamcommunity.com/sharedfiles/filedetails/?id=906538619 Armaholic- http://www.armaholic.com/page.php?id=32669 AAF Overhauled The Altis Armed Forces overhaul is focused on bringing the AAF forces a more modern-day appearance, loosely based on the Hellenic Armed Forces of Greece. Faction classname- IND_F Steam Workshop- http://steamcommunity.com/sharedfiles/filedetails/?id=1076246390 Armaholic- http://www.armaholic.com/page.php?id=33008 CSAT Overhauled This mod is a total replacement of the CSAT faction, bringing them more in line with modern day equipment, weapons and uniforms. Faction classname- OPF_F Steam Workshop- http://steamcommunity.com/sharedfiles/filedetails/?id=1087988033 Armaholic- http://www.armaholic.com/page.php?id=33027 NATO Overhauled This mod is a total replacement of the North Atlantic Treaty Organisation units, bringing them more in line with modern day US equipment, weapons and uniforms. Faction Classname- BLU_F Steam Workshop- http://steamcommunity.com/sharedfiles/filedetails/?id=1105165805 Armaholic- http://www.armaholic.com/page.php?id=33107 PW6- http://withsix.com/p/Arma-3/mods/gdAt5Fb9M02mvHiU8lvPqg/NATO-Overhauled NATO RHS Marine Corps Overhaul NATO soldiers have been changed into a force resembling the United States Marine Corps, with more contemporary weapons such as the M4A1 Carbine replacing the MX rifle. The standard uniform is MARPAT Woodland for all infantry units, with most units having SPC vests and MARPAT combat helmets. Faction Classname- BLU_F Steam Workshop- http://steamcommunity.com/sharedfiles/filedetails/?id=1179946616 Armaholic- http://www.armaholic.com/page.php?id=33404 CTRG Overhauled This mod is a total replacement of the Combat Technology Research Group, or CTRG units with new weapons, uniforms and equipment. Faction Classname- BLU_CTRG_B Steam Workshop- http://steamcommunity.com/sharedfiles/filedetails/?id=1172631651 Armaholic- http://www.armaholic.com/page.php?id=33381 OPFOR FIA Overhauled- Faction Classname- OPF_G_F This FIA insurgency cell is supported by Iranian CSAT forces, so is armed primarily with older Soviet weapons such as the AKM and AK-74 as primary weapons, with the AKMS and AKS-74-U used in some roles. Steam Workshop- http://steamcommunity.com/sharedfiles/filedetails/?id=1176983135 Armaholic- http://www.armaholic.com/page.php?id=33394 INDEP FIA Overhauled- Faction Classname- IND_G_F These INDEP FIA forces are irregular fighters who have remain loyal to the AAF Government during the Civil War, and they have been supplied and supported by the AAF military. Steam Workshop- http://steamcommunity.com/sharedfiles/filedetails/?id=1193103446 Armaholic- ALiVE Civilian Pack The purpose of the mod is to give more accurate looking civilians for Milsim groups without having to rely on large downloads of civilian equipment. Faction classname- C_AF Steam Workshop- http://steamcommunity.com/sharedfiles/filedetails/?id=935810174 Armaholic- http://www.armaholic.com/page.php?id=32802 Mod compatibity- All factions have full Editor, Zeus, ALiVE/ Spyders ALiVE, MCC, Dynamic Recon Ops, ACE3, Task Force and ACRE radio support. They also have all functions supported from AI mods such as ASR-AI and V-Com AI, such as deploying static weapons and suicide bomber attacks. Note that not all factions are included in this post, due to not wanting the first post here to be gargantuan. Links to the multiple collections containing all the varied factions can be found on my Steam Workshop. Permissions- All SFF factions will be available on Workshop, as well as other download locations like Armaholic, PW6 or Arma3.De to make it easier for you to download and use them. If you wish to modify the factions in some way and re-host them, CONTACT ME OVER PM. Feel free to use the various factions however you like, but if you are using them publicly use the official version on the Workshop. This is so you are always up-to-date with the factions and such. If you want to re-host the files for any reason do it set to friends-only or private or Steam, NOT public. If it is set public I will ask you to pull it down and use the official version instead. 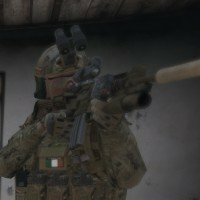 1 SFOD-D Realism Unit NOW RECRUITING!